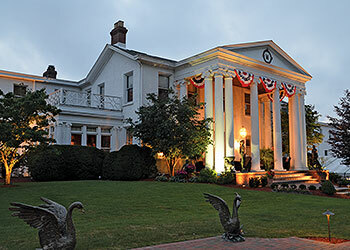 One of America’s Top 10 Romantic Inns. Experience royal treatment in 10 exquisite guestrooms and world-class spa. Perfect for Castle weddings or executive retreats. 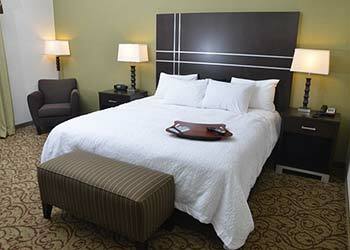 Well-appointed guestrooms with free internet access, lap desk, and clean, fresh Hampton bed®. Complimentary hot breakfast or grab a free On the Run® Breakfast Bag. Located 6 miles from downtown Sharon. 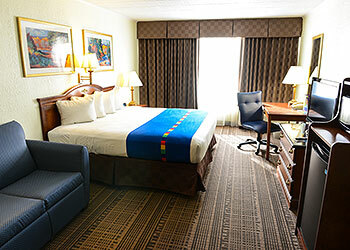 Newly renovated full service hotel featuring 153 rooms (46 kings with whirlpools), indoor pool with atrium courtyard, restaurant, lounge & business center. Entertainment Thursday – Saturday nights. Located 6 miles from downtown Sharon. Inspired by Gone With the Wind. Tara offers 27 luxurious guestrooms, seven-course candlelight or casual dining, acres of gardens, fairy-tale weddings and corporate events. Located 6 miles from downtown Sharon. 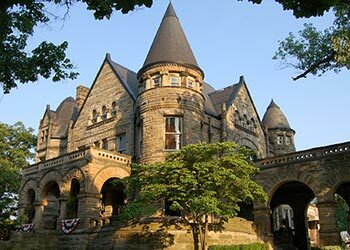 SharonPA.com is a cooperative marketing program in conjunction with VisitMercerCountyPA. For more information call 800-637-2370.